It is confirmed, Madhuri will be a judge on Jhalak Dikhhla Jaa 4. News is that Madhuri Dixit may be seen dancing in Jhalak Dikhhla Jaa’s forthcoming fifth season. She will make a special appearance on television for the very first time. When did season 4 happen? 2009 did not have any JDJ or is it that I missed it? Anyway here we are with 2010 JDJ. Apparently, the channel’s top officials called up Madhuri Dixit requesting her to participate in Jhalak Dikhhla Jaa 5. Channel said, "Our show is very popular. Madhuri is a treat to watch when she dances. Her presence will be an asset." 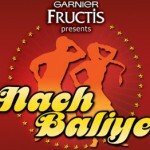 The source added, "Madhuri is quite open to the idea of coming to India and doing this show. She is seriously considering the offer. The modalities are being worked out." Madhuri’s secretary Rakeshnath (aka Rikku) did not deny that the actress had been approached for Jhalak Dikhhla Jaa 5. "It’s all at a very nascent stage. There is nothing official as yet. Madhuri gets lots of offers every now and then," said Rikku. 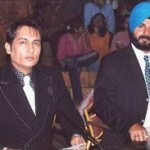 Next name in news is India’s left-handed badminton player Jwala Gutta, who was allegedly responsible for the Mohammed Azharuddin-Sangeeta Bijlani break-up, to participate in the forthcoming season of Jhalak Dikhhla Jaa. Since Jwala has been in the news for all the wrong-right reasons the decision to rope in Jwala is most likely to register more TRPs for the show. She also recently separated from her husband, badminton player Chetan Anand. Confirming the news her sister Insi said, "Jwala is very excited about starring in Jhalak Dikhhla Jaa. She has yet to sign the contract, but she has agreed in principle. She will be seen in some very glamorous outfits." 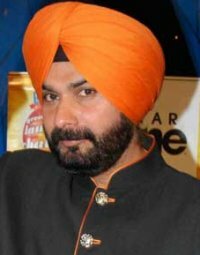 Navjot Singh Sidhu too is been approached by the channel. He has also almost locked his deal with the channel. It’s going to be hot this season!